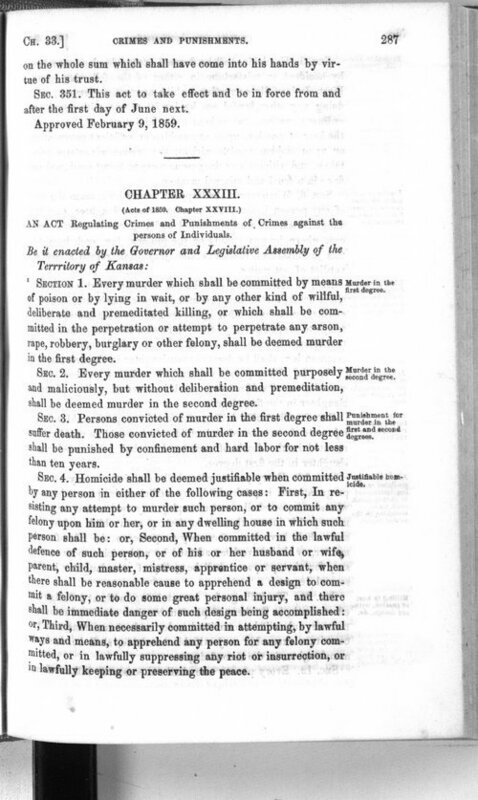 Chapter 33, Section 3 of the General Laws of the State of Kansas (1862) provides for punishment by death for persons convicted of murder in the first degree. The legislature passed the law at its second annual session ending March 6, 1862. The previous year, the legislature passed a death penalty law for persons convicted of treason against the state. These laws demonstrates the state's initial stance on capital punishment.